Dr. Christopher Cutler has had his eye on research since undergraduate school. 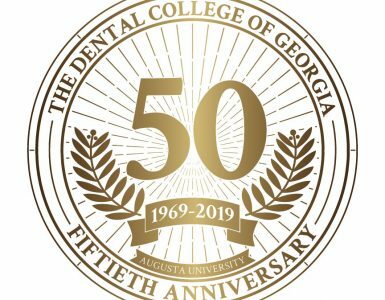 “I earned my bachelor’s degree in microbiology, and even after I got my dental degree, I always gravitated back to the laboratory,” says Cutler, Chairman of the College of Dental Medicine Department of Periodontics and the college’s newly named Associate Dean for Research. 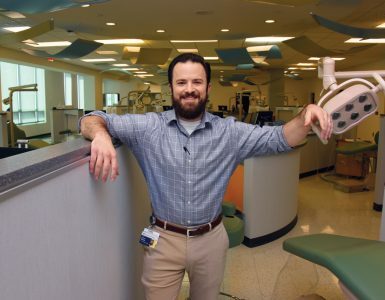 Cutler, who has both a dental degree and PhD in experimental pathology, considers his current position the perfect culmination of his aspirations. “I’m very excited about all the opportunities at GRU,” says Cutler, who served on the Stony Brook University faculty before joining GRU four years ago. 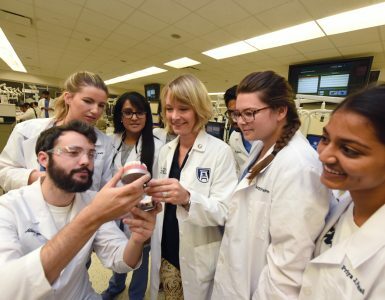 He has hit the ground running, already overseeing the reinvigoration of a College of Dental Medicine student research group; the opening of a research office on the fifth floor of the dental building, staffed by Marlena Smith, Research Operations Coordinator; and the recruitment of a biostatistician to support research efforts. The biostatistician, Wonsook Yoo, will supplement the efforts of Stephen Looney, Professor of Biostatistics, and will be housed primarily in the Institute of Public and Preventive Health. 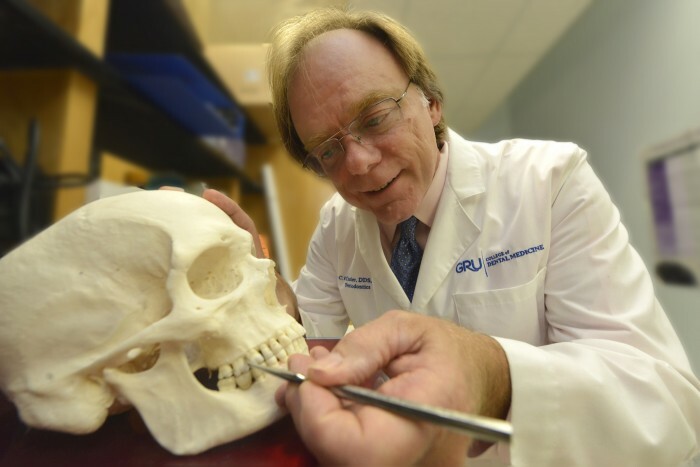 His research, and projects like it, should address all these issues, and many more, improving periodontal health while helping people retain their teeth throughout their lives — a significant factor in overall health and quality of life. Education: DDS degree and PhD in Experimental Pathology, Emory University; postdoctoral fellowship in anaerobic microbiology, U.S. Naval Medical Research Unit #3 in Cairo, Egypt; postdoctoral training in dendritic cell biology, Baylor Institute for Immunology Research Professional background: Cutler taught periodontics at the University of Texas-Houston, Baylor University-Texas A&M before joining Stony Brook University School of Dental Medicine as Associate Dean for Research. He joined the GRU faculty in 2011.